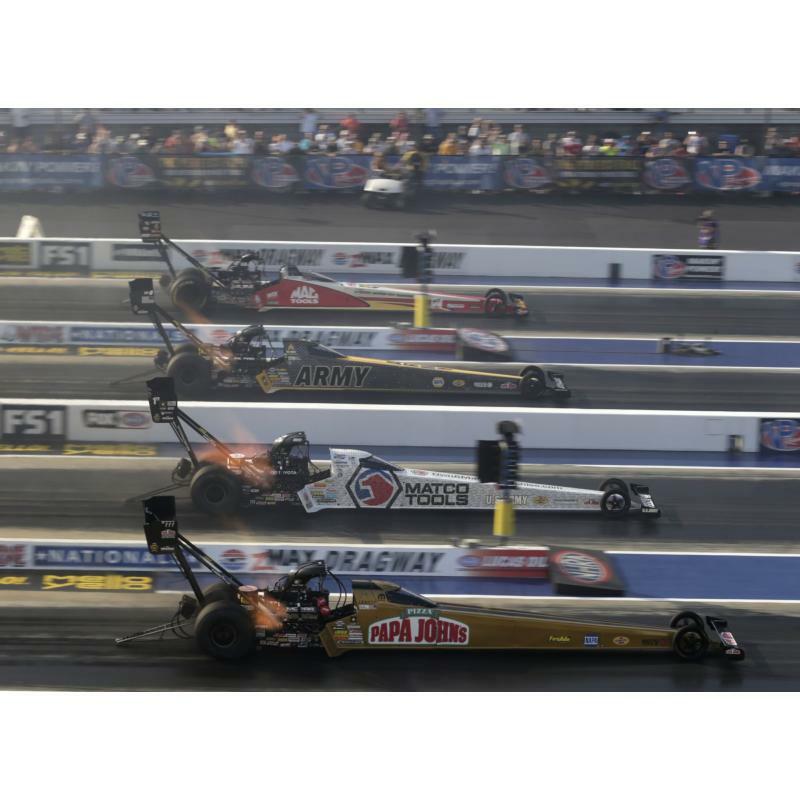 One of the most heart-pounding, action-packed, edge-of-your-seat experiences in all of motorsports returns this weekend to the "Bellagio of dragstrips," as zMAX Dragway hosts a 40,000-horsepower thrill show during the ninth annual NGK Spark Plugs NHRA Four-Wide Nationals. This weekend's Earth-shaking drag races kick off a huge month of tourism-related economic impact for the region as the first of four global events, including Carolina Rebellion and back-to-back NASCAR race weekends highlighted by the May 19th Monster Energy NASCAR All-Star Race and the 59th running of the Coca-Cola 600 on May 27. Through the years, these events, as well as countless supporting activities like the Circle K Speed Street presented by Coca-Cola, team fan festivals and others have firmly established Charlotte Motor Speedway as America's Home for Racing. This weekend, however, is all about straight-line racing, as fans from all 50 states and 11 foreign countries witness one of the biggest spectacles in the sport, the excitement of four 10,000-horsepower nitro-burning machines powering down the dragstrip and providing a sensory overload that can't be matched. 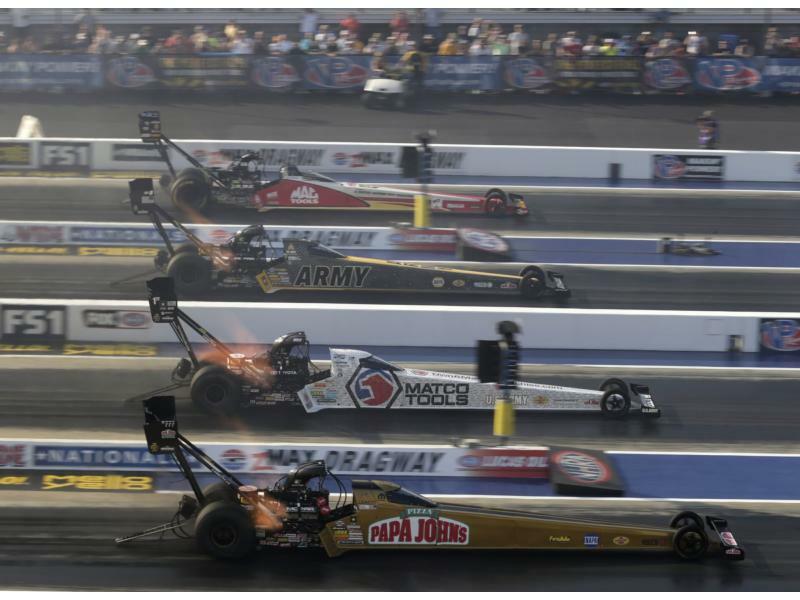 The NHRA's best in Top Fuel, Funny Car, Pro Stock, Pro Stock Motorcycle and Pro Mods will all compete in the four-lane event to hold up Wally trophies at zMAX Dragway. Steve Torrence (Top Fuel), Ron Capps (Funny Car), Chris McGaha (Pro Stock), LE Tonglet (Pro Stock Motorcycle) and Mike Castellana (Pro Mod) were last year's winners. Torrence captured his first victory at zMAX Dragway last season, and the Top Fuel star finished his banner campaign with eight wins. He already has a win in 2018 as he hunts his first world title. Brittany Force, the 2016 race winner, captured her first world title last season and is after her first victory this season. Longtime Funny Car standout Capps picked up his first victory in the four-wide scenario last year, one of eight wins in 2017 for the 2016 world champion. McGaha already has a victory in 2018 in Pro Stock, heading to Charlotte with plenty of early-season momentum. The defending NGK Spark Plugs NHRA Four-Wide Nationals winner will look to make it two straight in the class, facing off with the likes of defending world champion and points leader Bo Butner, and local favorites Tanner Gray, Greg Anderson and Jason Line. LE Tonglet won the first of six races during his standout 2017 season in Pro Stock Motorcycle, picking up his second career win at zMAX Dragway. He'll be one of many trying to track down defending champion Eddie Krawiec, who won the first event of the year in Gainesville. Others expected to be in the mix include six-time Charlotte winner Andrew Hines and two-time world champ Matt Smith, who won the first four-wide event in 2010. Sunday ticket holders are encouraged to arrive early to take part in the track walk as drivers and other motorsports personalities walk the lanes just minutes before opening ceremonies and driver introductions. Mello Yello Drag Racing Series qualifying will feature two rounds at 4 and 6:30 p.m. on Friday and two rounds of qualifying on Saturday at 2 and 4 p.m. Final eliminations are scheduled for 12 p.m. on Sunday. Tickets for children 13 and under are free with any paid adult ticket. 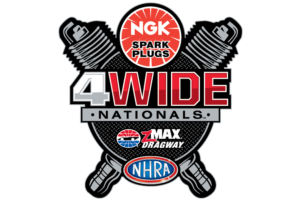 To purchase seats for the NGK Spark Plugs NHRA Four-Wide Nationals, call (800) 455-FANS (3267) or visit www.charlottemotorspeedway.com.